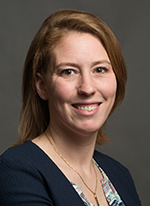 Jantina Wennerstrom is project coordinator of the Soy Transportation Coalition (STC), an initiative established in 2007 and comprised of the United Soybean Board, the American Soybean Association, and thirteen state soybean boards. The Soy Transportation Coalition exists to promote a cost effective, reliable, and competitive transportation system that serves the agriculture industry. As project coordinator of the STC, Jantina’s responsibilities include website updates, assisting with communication initiatives of the STC, conference coordination, assisting with compiling and disseminating newsletters and monitoring trends and developments within transportation. Jantina received her undergraduate degree in Business Administration from Drake University.